These recent K-12 innovations are making a measurable difference in schools around the US. How are leaders in your district implementing these innovations? The concept of turning education upside down by giving students choices of what they want to learn and how they want to learn. Students receive teacher’s lectures at home and go to class to do their homework. Greg Green, Principal of Clintondale High School, created this model. One of the most surprising benefits his teachers experience is spending as much as 400% more time with their students. Created from a partnership between Harvard Graduate School of Education and Outward Bound. The EL model is based on 10 founding principles which combine Outward Bound’s focus on teamwork, courage and compassion with a new approach to learning from leading Harvard Scholars. This new approach was created for the active nature of EL. EL programs combine students’ topic-based research with an expedition to observe how their research jives with the real world. They conclude with a public presentation to share key learnings. An approach to physical education that integrates the physical with the technological. Students use devices, like iPads, in gym class to document each other’s progress. The recordings provide visibility into students’ strengths and skills development. In a surprising turnabout, schools leverage technology to overcome physical inactivity! Ewa Makai middle school has redefined gym class as a site of creativity. The school is using Tech P.E. to include students who are often unable to participate in traditional P.E. classes. For more information about Ewa Makai’s success, see PBS Hawaii. Science, technology, engineering, and math (STEM) focused AP classes that provide students with the ability to earn college credits in high school. Many high schools, like Lake View High School, use STEM to increase collaborative skills, critical thinking, and technological literacy. In addition, the most innovative schools use project-based learning as they put the students to work on real-world problems, often for business or government entities. These project-based experiences integrate STEM into many areas of the curriculum and foster partnerships with universities and hi-tech companies. Iris-scanning is part of a growing trend called “biometrics,” a type of security that recognizes physical characteristics to identify people. As the technology becomes faster and cheaper to build, several security equipment manufacturers are looking at biometric methods like iris scanning as the ID badge of the future. South Dakota- based Blinkspot manufactures iris scanners specifically for use on school buses. When elementary school students come aboard, they look into a scanner. The reader will beep if they’re on the right bus and honk if they’re on the wrong one. Every time a child boards or exits the bus, his parent gets an email or text with the child’s photograph, a Google map where they boarded or exited the bus, as well as the time and date. Other student safety solutions. Many schools and districts have found that they can generate extra funds by implementing facilities and equipment rental programs. These programs are generally coordinated by the district to ensure renter insurance and contract compliance, while the individual schools provide the facility support and event management. K-12 solutions specific to facilities rentals have greatly helped the coordination efforts between districts and the individual schools. Change is inevitable. Improvement is intentional. 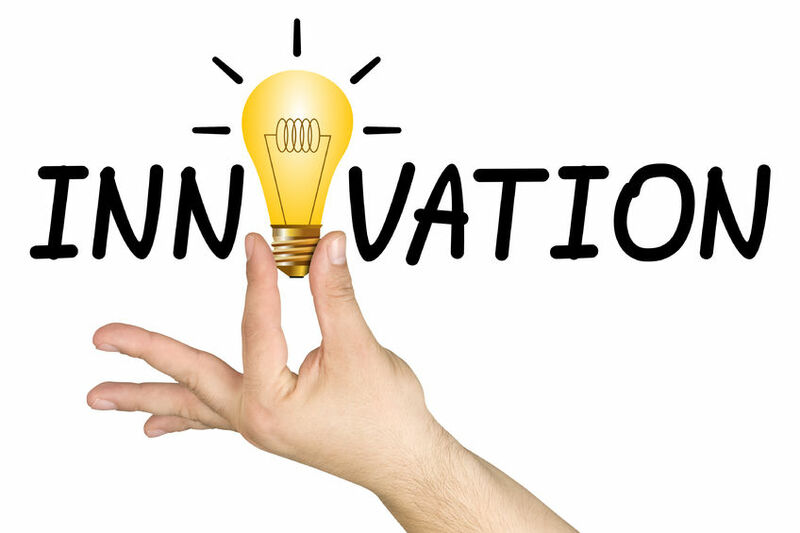 These examples of successful innovations raise awareness of district and school leaders. Ongoing improvements by K-12 districts, teachers and principals will continue as these successes are shared.